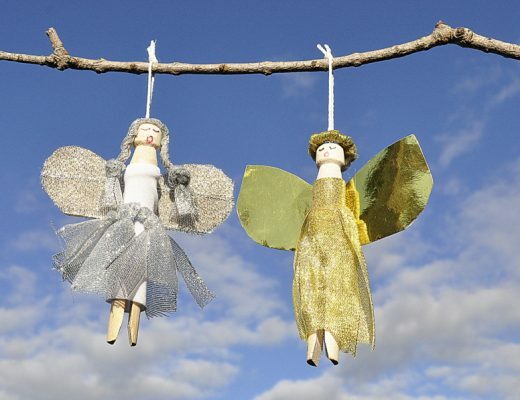 I love hanging garlands at Christmas time. Whether draped on a tree or across an entryway, a garland is an easy way to add Christmas to your home. 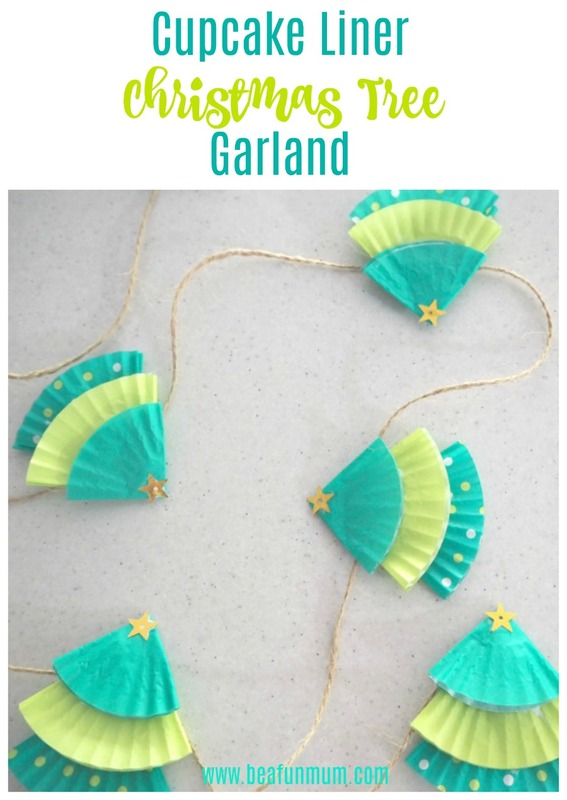 You could head to the shops to buy a Christmas garland, or you could make this super easy Cupcake Liner Christmas Tree Garland using items you have in your kitchen already. 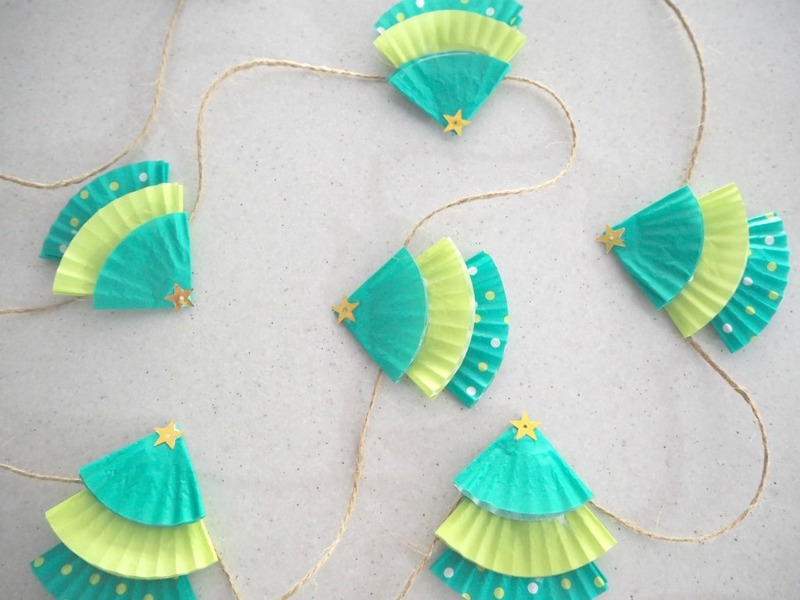 This would be a great activity for the classroom, allowing each student to make their own Christmas Tree and hanging it from the string to drape around the classroom. 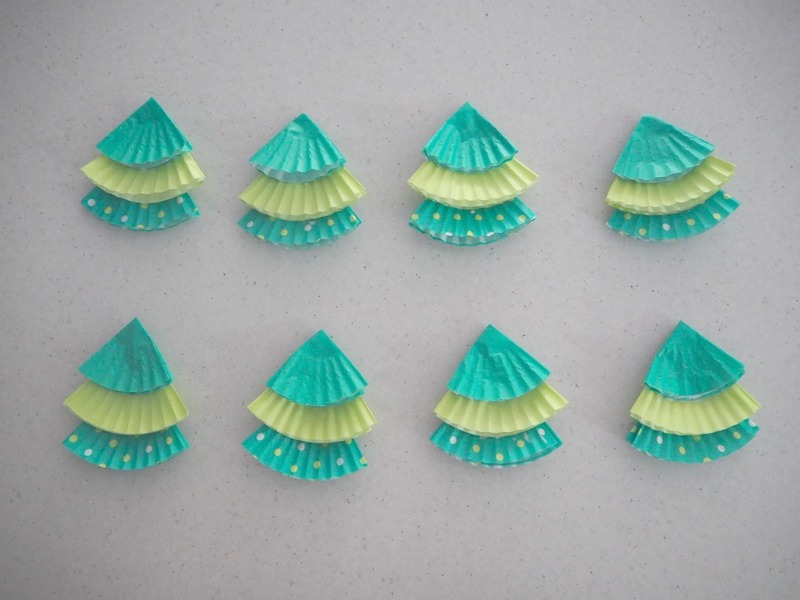 It’s a simple as folding the cupcake liner and gluing each triangle together to form a tree. 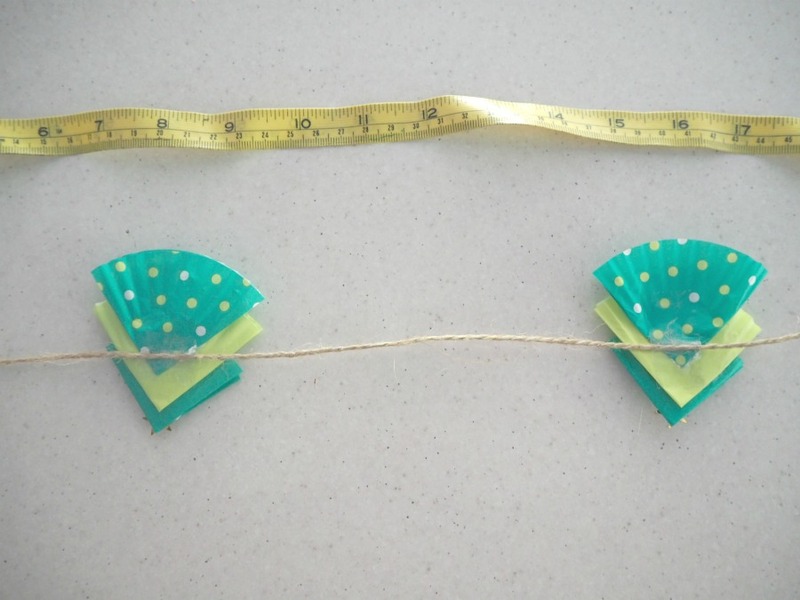 Use sticky tape to attach to string and you’re good to go to hang your tree. 1. 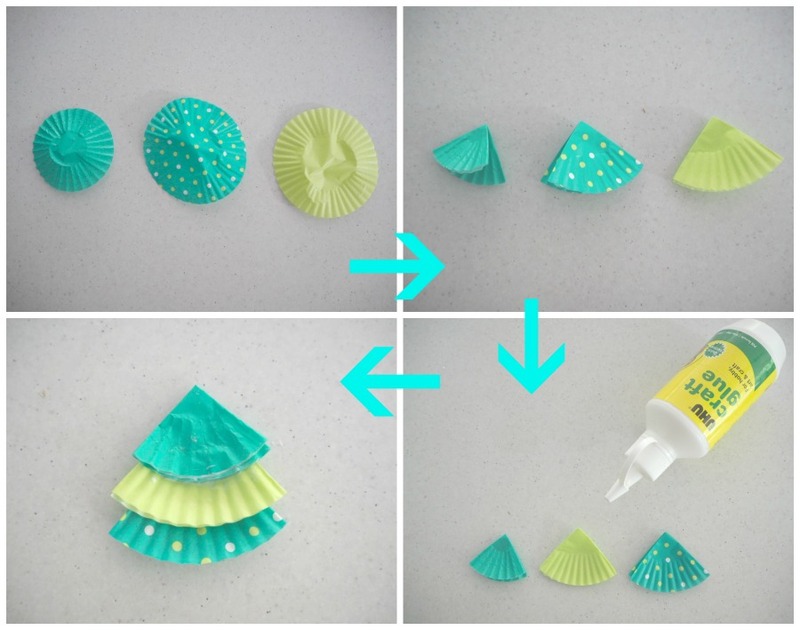 Fold out the cupcake liner, fold it in half and then in half again. Do this for all three cupcake liners. 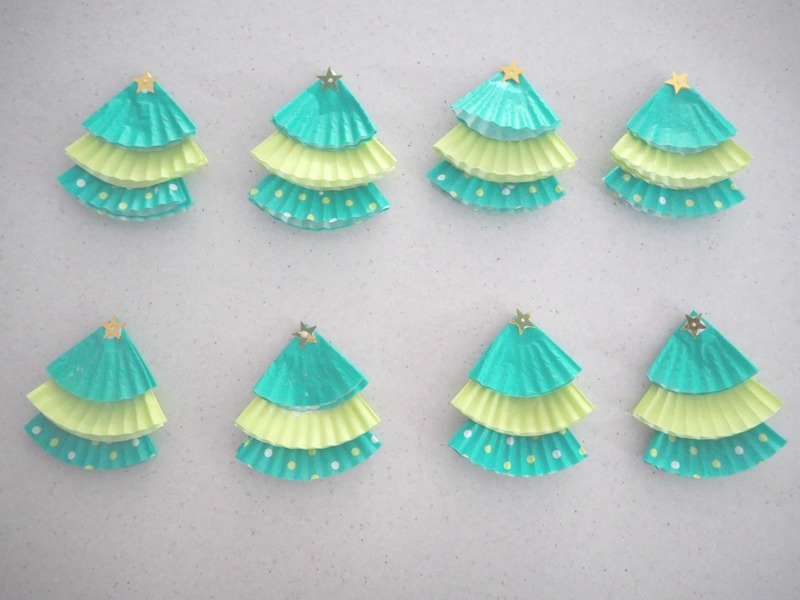 Layer each triangular piece over the other to make a tree and then add glue to keep it’s shape. 2. 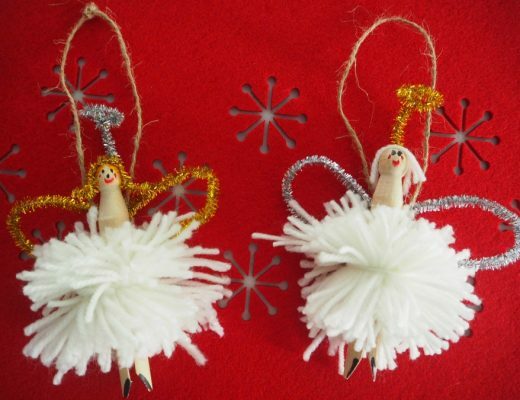 Add a star to the top of each Christmas tree. 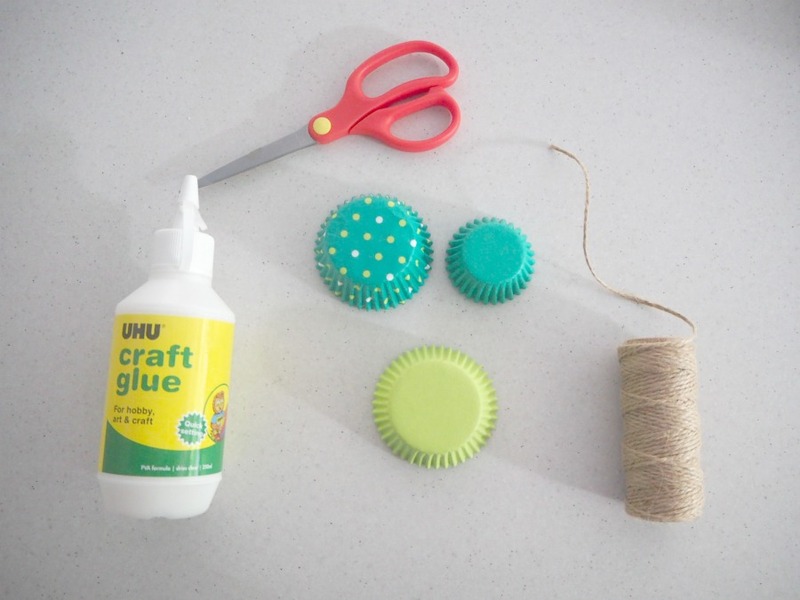 If you have excess glue, this will dry clear. 4. 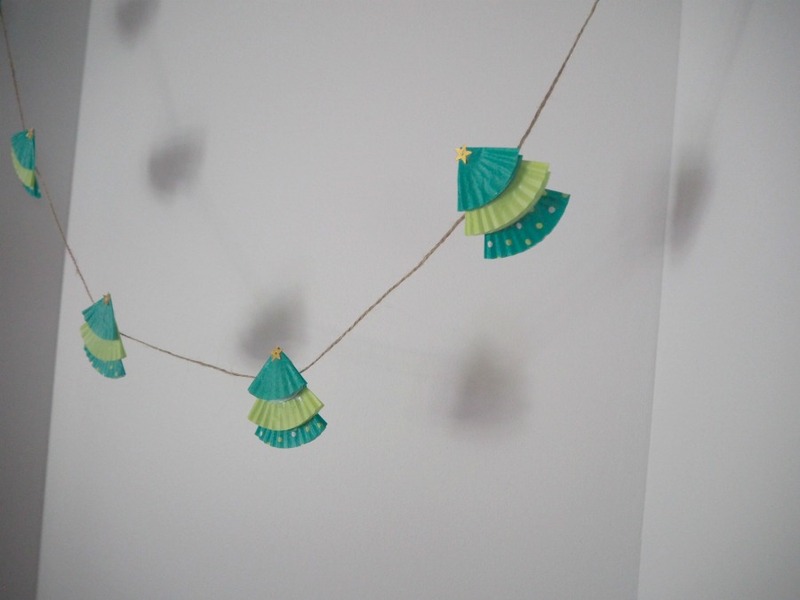 Once complete, drape the garland. You can make it as long or as short as you like. 5. 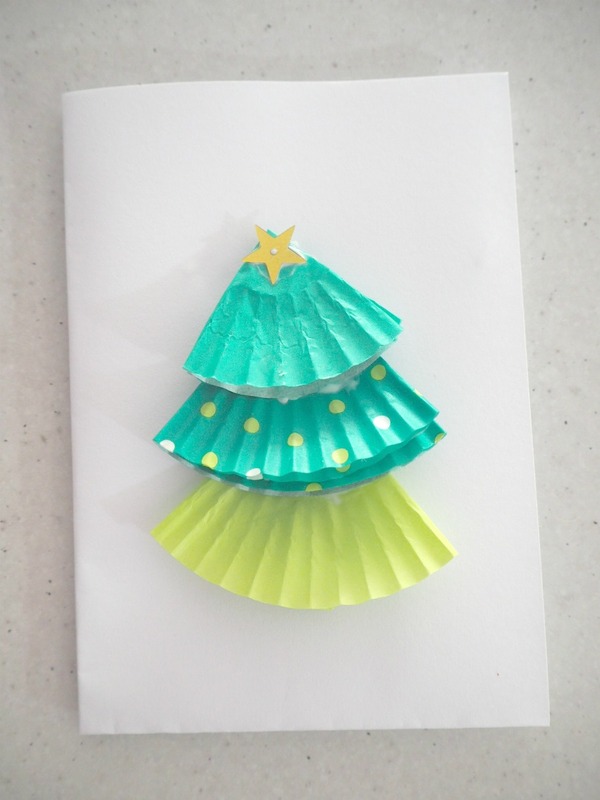 Any spare Christmas trees can be stuck onto the front of white card to make Christmas card.